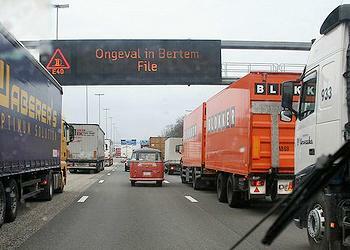 BRUSSELS, Belgium, April 3, 2014 (ENS) – Vehicle noise limits will be tightened across the European Union to protect public health, under a new law informally agreed with EU ministers and endorsed by Parliament on Wednesday. The new law will apply to passenger cars, vans, buses, light trucks and heavy trucks. Despite increasing traffic across the European Union, noise emissions limits for vehicles have not changed since 1996. The new law requires the introduction of labels to inform buyers of the noise levels of new cars, as well as the addition of sound to hybrid and electric vehicles to alert pedestrians. Persistent exposure to high levels of traffic noise can be physically draining, disrupt organ functions and contribute to cardiovascular and other diseases, according to research by the European Environment Agency. 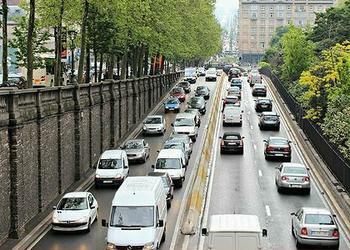 Traffic exposes half the urban population in the European Union to noise levels above 55 decibels. “I consider the final text adopted under the trialogue negotiations as an optimal compromise that will contribute to the protection of health of our European citizens. On the other hand, it should not cause any loss of competitiveness for the European automotive industry,” said the rapporteur, Miroslav Ouzký of the Czech Republic, a member of the European Conservatives and Reformists, a conservative, anti-federalist and Eurosceptic political group in Parliament. “I am happy that the proposal found broad support across the political groups in the European Parliament,” said Ouzký after Parliament endorsed the agreement he negotiated with EU ministers without a vote. Once in force, the new rules will phase in new limits in three steps – by July 1, 2016, and by the same date in 2020 and in 2024. The first phase will apply only to new engine noise limits in new vehicle types. The second and the third phases will bring in lower decibel values and also include all new vehicles produced, two years after they start – in 2022 and in 2026. The limit for standard cars will be reduced to 68 db in 12 years, from the current level of 74 db. More powerful vehicles will be allowed a margin of one to nine extra decibels. The rules bring down the limit for the most powerful heavy lorries, those over 12 tonnes, to 79 db from 81 db. MEPs point out that vehicle noise is also affected by the road surface and tire noise. Following pressure from MEPs, the legislation also recommends that new cars be labeled to provide consumers with information on their noise levels. Similar labeling systems already exist for fuel efficiency, tire noise and CO2 emissions. MEPs are concerned about quiet electric and hybrid cars becoming a threat to pedestrians and cyclists, and say that manufacturers must install the Acoustic Vehicle Alerting System in new types of hybrid electric vehicles by July 1, 2019. Noise limit values will ultimately be decreased by four decibels for passenger cars, vans, buses and coaches and for trucks by three decibels. Altogether, these measures are expected to reduce the vehicle noise nuisance by roughly 25 percent. In addition, a new and more representative test method to measure sound emissions will ensure that the sound level of vehicles under street driving conditions does not differ from the type-approval test results. This test method is recognized internationally, making it easier for vehicle manufacturers to export outside the EU. The World Health Organization concluded that traffic related noise may account for one million healthy years of life lost per year in Western Europe. Hence, reduction of traffic noise is essential to improve the health and quality of life of Europe’s citizens. Today’s deal follows the proposal made by the European Commission on December 9, 2011.